Without a solid inbound package tracking system, many businesses lose track of inbound mail and parcels in their efforts to maintain smooth internal delivery. CMS won’t let this happen to your business. We provide cost-effective solutions to help you maintain control of incoming mail while enhancing distribution within the workplace. We offer intuitive receiving software to help you minimize labor and increase internal processing efficiency. 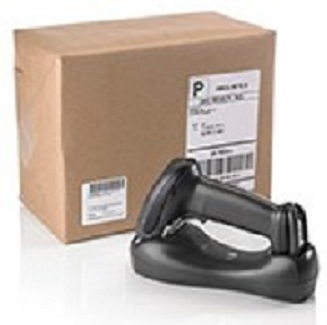 With each scan of your important inbound package or mail item, data such as date, time, status and location is captured, providing real-time visibility and chain of custody. Carriers are insured for packages lost while in their possession; however, insurance stops once items are delivered to your door. If lost internally, you are exposed to a number of risks – monetary, delayed projects, unsatisfied clients. An automated delivery system improves your internal processing speed by simplifying and automating delivery routes. This enables delivery agents to do their job faster, with fewer errors and greater efficiency. Real-time tracking allows you to know where each asset is in your company at all times, which reduces risk and exposure to losing items in route. Our inbound package tracking software uses cutting-edge technology to monitor the flow of any tangible object that goes in and around your company parcels, mail, documents, and even assets. The moment you receive the parcel, our software will automatically monitor its internal movement and ensure it reflects on your reports. No two businesses follow the same mail delivery process. When it comes to mail process configurations, our receiving software gives you the flexibility to customize the functions for your specific applications. You can activate different functions to maintain a more organized inbound and interoffice mail distribution. With our inbound package tracking system, you can forget about the time-consuming and intensive monitoring of every parcel or mail that comes in—our software will show you the easy way to handle this task. Get in touch with us today and learn how our software solutions can help your business stay on track. Do you need to streamline your delivery process or provide a safe, secure, 24/7 accessible location for parcel pickups? Then the Packcity intelligent Shipping Parcel Lockers may be the solution you’re looking for! They’re customizable, convenient and compatible with our receiving system solutions; contact us for more information on how they can work for you.